The food industry is an ever-changing tableau of different trends. From paleo and gluten free, to those brave souls who quit sugar, there are so many different diets, food types or new thoughts around food that it can be hard to stay on top of it all. And, sometimes, we end up spending our time attempting to be a jack of all trends and the master of none! However at Fine Food Australia 2015, there are plenty of exhibitors who are producing delicious products fit for a variety of diets or trends. Whether it’s for the environmentally conscious or the wholefood lovers, there’ll be something for everyone at the show, allowing you the chance to taste, see and decide what you’ll be picking up and passing on to customers. For example, the paleos out there will be looking forward to checking out Blue Dinosaur. This Sydney based company was founded by paleo diet lovers who were tired of having to find themselves a healthy, suitable snack. They took matters into their own lands, literally, by crafting delicious, healthy paleo snack bars which are now available for anyone to eat – including your future customers. Then there’s Earthens, a company that creates sustainable, earth friendly and environmentally safe tableware. Made out of fallen palm leaves, every plate, cup or utensil you use from the range isn’t just beautiful, but also beneficial for the environment. At a time when environmental awareness isn’t just cool, it’s necessary; Earthens are answering the call for diners to eat guilt free of the wasteful consequences. The raw/wholefood trend certainly isn’t going anywhere soon either. From Spice & Co. producing raw, natural spices, to Bennetto’s Drinking Chocolates – the company that creates all natural and organic chocolate bars for melting into hot chocolates, there is no shortage of information and products to keep your fridges stocked and your customers happy at this year’s Fine Food Australia. The dessert trends taking over Instagram feeds will soon feature Fine Food inspired delights too, with dedicated pastry showcases throughout the show allowing visitors to learn from patisserie masters themselves. On-trend and delicious profiteroles or croquembouches will no longer be the undoing of a kitchen, but instead the piece de resistance that keeps customers coming back for more. And of course we can’t forget that juices and smoothies, in all their natural, healthy glory have become a go-to trend for those who want a health kick or snack on the go. Fine Food Australia will be the home for showcases of delicious juices, smoothies and drinks available. From Australian Pure Fruits who are debuting their summer naturals, to Thirst for Life, who are showing off their yuzu fruit drink and even the delightful ranges of coconut based drinks and treats, you won’t have to go far to get the best and the brightest of this trend. 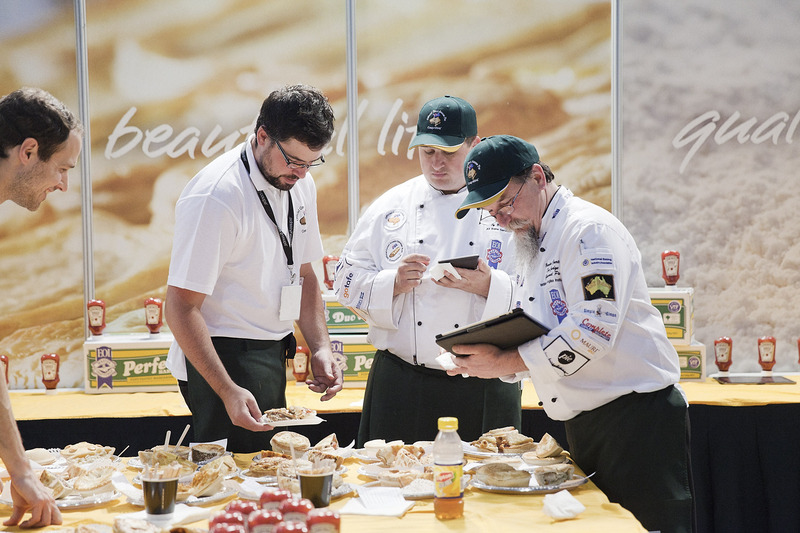 Check out the Fine Food Australia 2015 Exhibitor list online now. Fine Food Australia will be an imperative date on the calendar. As the country’s largest and most relevant food and hospitality event, showcasing everything from specialty and bulk foods, beverages, cooking and hospitality equipment and machinery, to bakery products, coffee and of course these emerging food trends. The event will undoubtedly be a great place to learn, see, taste and experience – as well as network and grow – within the foodservice industry. Online registrations close this Friday 18 September – make sure you have registered online for free entry and save the $30 door charge, using promo code AFN. Registration: Register free online: www.finefoodaustralia.com.au before Friday 18 September to save $30 at the door. Fine Food Australia is strictly a trade only event. Children are not permitted.